When life gives you lemons…make lemon garlic chicken. In a blender, mix all the marinade ingredients. Add the chicken thighs into a freezer bag or large bowl and pour in the marinade mixture. Refrigerate for 2 hours or preferably overnight. 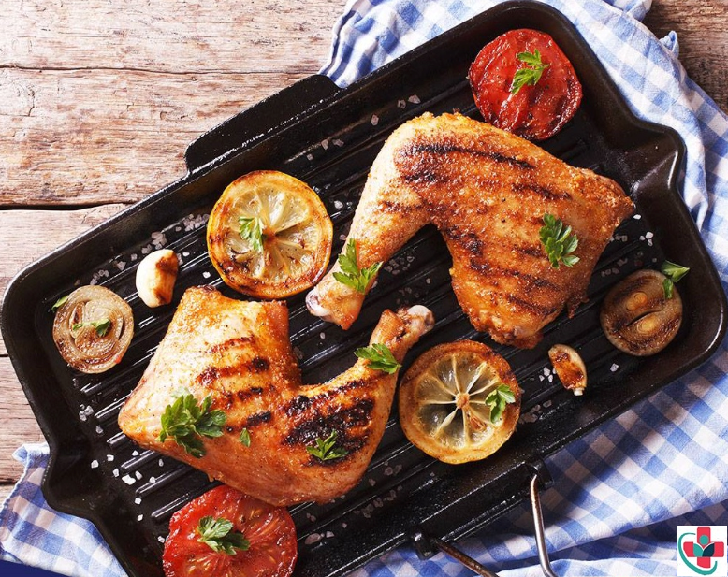 Set a grilling pan on medium heat and grill the chicken for about 10 - 15 minutes per side. If using an oven, set to 400 F degrees. Bake the chicken on an oven rack for about 15 - 20 minutes. Garnish with coriander leaves and serve with lemon wedges.